Intro: Enjoy a fun game of pathfinding with 24 beautifully designed mazes, having different themes from frozen lands to dead deserts. Challenge your pathfinding skills, immerse yourself in exciting VR environments, and find the maze exit! 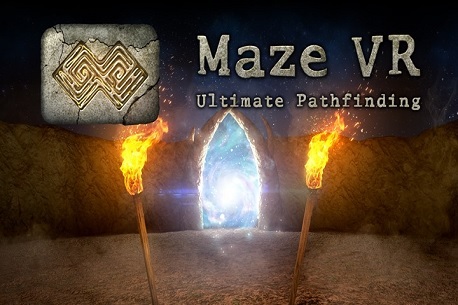 Verdict: Maze VR: Ultimate Pathfinding is a beautiful game that you can lose yourself in VR both physically and mentally. I will be honest and tell you that I really didn’t think I would enjoy this game, after all, maze games can get a bit…well…boring. Sure, you might find this game getting a little repetitive after a few hours, but for those first few hours, you will find it quite the adventure. For this current asking price I reckon it is worth it, with 24 mazes to do there is more than enough here to keep you lost in VR for hours on end. But if you hated hedge mazes as a child, this might not be the game for you.